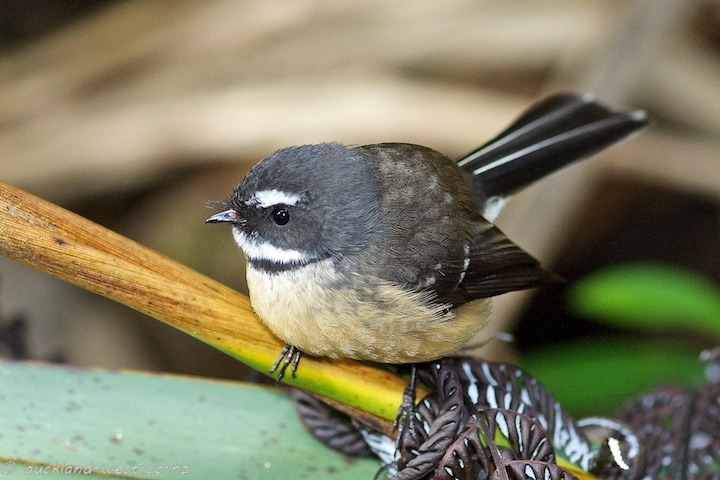 The fantail (piwakawaka, Rhipidura fuliginosa) is a native New Zealand bird, charming humans by inquisitive and chatty behaviour. The theory is, that they are not really interested in the humans they encounter, but rather in the insects which are chased up by human passers-by. Be that as it may, I spent some quality time with this individual at Oakley Creek, Waterview. 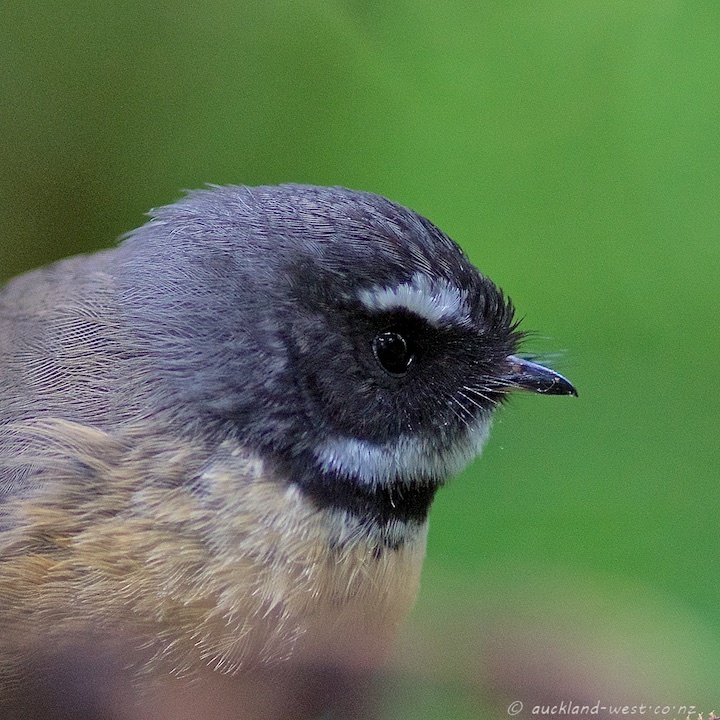 Pity it did not open the fan of its tail feathers when it was within shot – these birds just can’t sit still.